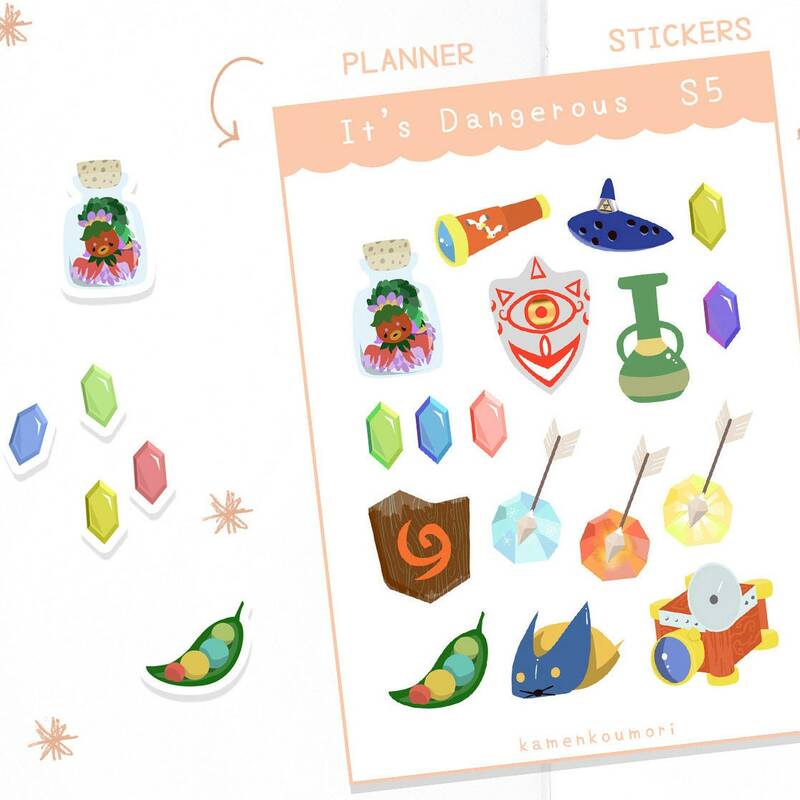 Super cute custom cut planner stickers with a hero's full iventory! Matte label paper, approx 96x131mm (around A6 size), printed and cut at home. 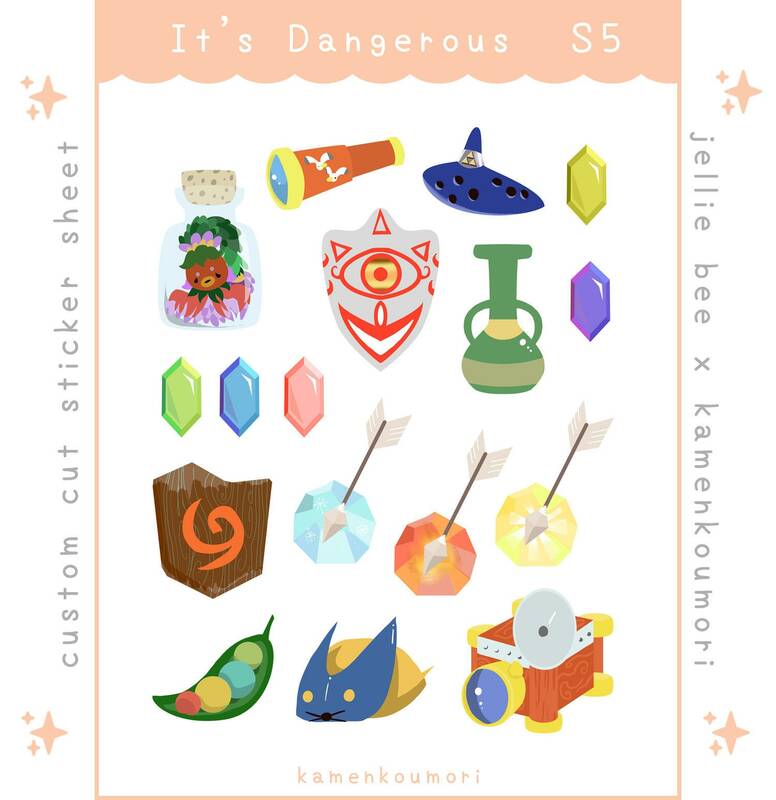 Single sheet containing 17 pre-cut stickers. They're not waterproof, but please get in touch if you'd like waterproof vinyl versions! 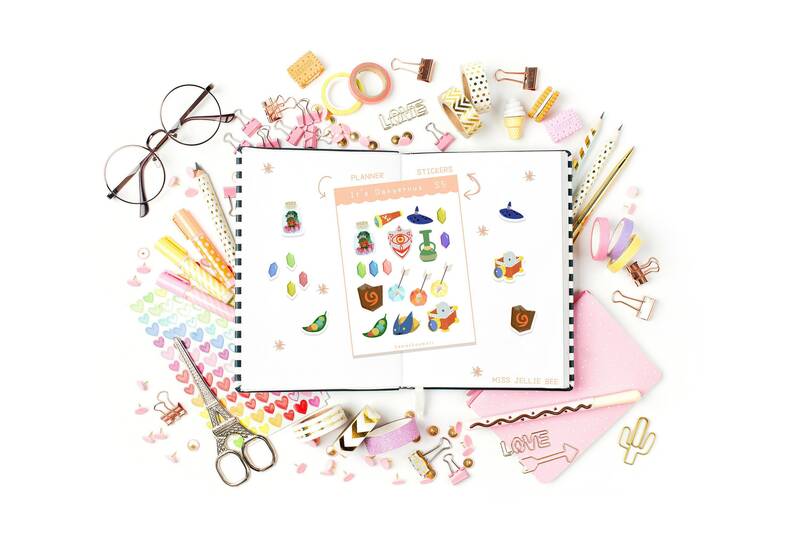 'Kamenkoumori x Jellie Bee' is a stationery brand made by Jellie Bee, an Illustrator from England.